Every Sunday at William Lutzky YMCA from 3-5 pm. Show your community league membership card at the door. Free access to YMCA indoor playground from 3-5 pm on Sundays. Nothing from Mon Apr 22 to Sat Jun 22. 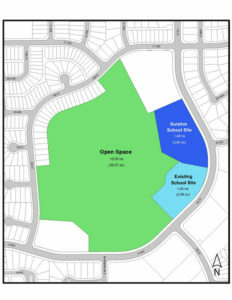 As you may be aware, City Council has decided that a mix of affordable and market multi-family homes will be built on the surplus school building site in Keheewin at 19th Avenue and 105 Street. It’s estimated that approximately 47,000 renter households in Edmonton spend between 30 and 50 per cent of their household income on shelter costs. This is unaffordable for a lot people earning an average wage, including restaurant servers, retail clerks, hair stylists, and people on fixed incomes like veterans, seniors and persons with disabilities. It may seem like things have been quiet since the City’s May 2016 public meeting on the project, but much has been happening behind the scenes. Here’s what’s happened so far. A volunteer group of neighbourhood residents, known as the Keheewin Advisory Committee (KAC), have teamed up with City staff and Ward Councillor Michael Walters on a pilot process to help identify better ways to not only build housing, but better engage the community to ensure viewpoints on the project are heard. “While there have been some bumps in the road, both the City and the volunteer KAC are committed to working together to get this project right so it can serve as a shining example of what successful affordable housing can look like in a community, ” says KAC member Josh Benard. Much of the discussion at recent meetings has been around ensuring the new homes are well-built, properly maintained, and a good fit with the community. The KAC has provided a lot of input into the guidelines that the City will be using in the coming weeks to select the company responsible for building, operating and maintaining the new homes. Keheewin residents are urged to attend the City’s next community meeting, which will take place before the end of June. The meeting will offer a critical opportunity for residents to learn more about where things are at with the selection of the builder, and get engaged and ensure their voice is heard on the project. The next community engagement session following the June meeting will likely take place in late fall 2017 after the municipal election, where the chosen builder will share some initial design concepts with the community. Stay informed about the project by signing up to receive regular email updates. Contact the City at buildinghousingchoices@edmonton.ca. For more information on the project, visit http://www.edmonton.ca/keheewinchoices. Contact the City at 311 or buildinghousingchoices@edmonton.ca. Join us by hosting your own garage sale! We’ll be putting out street signs on the main roads (23rd and 111th) and advertising in local media to bring buyers into the neighbourhood. Feel free to handle your own signs as well, especially inside the neighbourhood to direct traffic to your door.